We are delighted to announce that we are now taking bookings for this year’s annual visit to the Harz Autumn Gala. It is a tour that is growing in popularity year on year as visitors enjoy the steam rail content set within the glorious Harz Mountains. This year we return to enchanting Wernigerode to enjoy three days of steam trains. 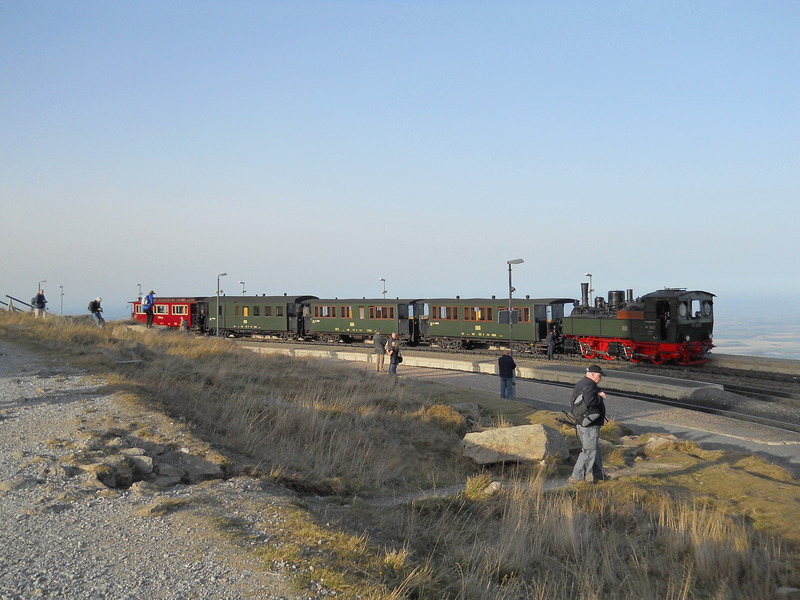 Travel behind one of the railway’s historical Mallets (built in 1897) as we head towards Drei Annen Hohne and up the Brocken reaching 1,141 metres. The Brocken is the highest peak in the Harz Mountains and if we are lucky enough to be granted a clear day we will be rewarded with spectacular views of the tree-lined hillsides and surrounding countryside. Other rail highlights include a journey from Wernigerode to Eisfelder Talmuehle on a heritage passenger train hauled by locomotive 99 6101 and accompanied by one of the railways flagship ‘LKM’ locomotives with a rake of mixed freight wagons. There will be plenty of time to explore the Selketalbahn on our heritage train, including the balloon loop in Stiege and witnessing some double departures in Alexisbad and Eisfelder Talmuehle. All these journeys will offer some great photo opportunities with plenty of runpasts to allow you to capture some memorable shots. There will also be time to discover the ‘olde world charms’ of Wernigerode, in particular the castle and its fascinating museum. Explore on foot to get a real feel of this historical mountainside town. This 8-day escorted tour offers a perfect mix of railways, views, culture and relaxation and we make the most of our return trip home by stopping at Wuppertal overnight. Spend the afternoon exploring this Rhine-Ruhr area and ride its famous suspension railway using your local transport card, included in the price of this tour. The tour price is currently set at £1,110, but we must emphasise that this is a guide price only and subject to change as the exchange rate will not be set until 1st May 2013. We can accept bookings on the understanding that the deposit is fully refundable should you not wish to go ahead after seeing the final price. We wanted to announce details of the tour as early as possible to allow time for you to factor it into your holiday arrangements for 2013. 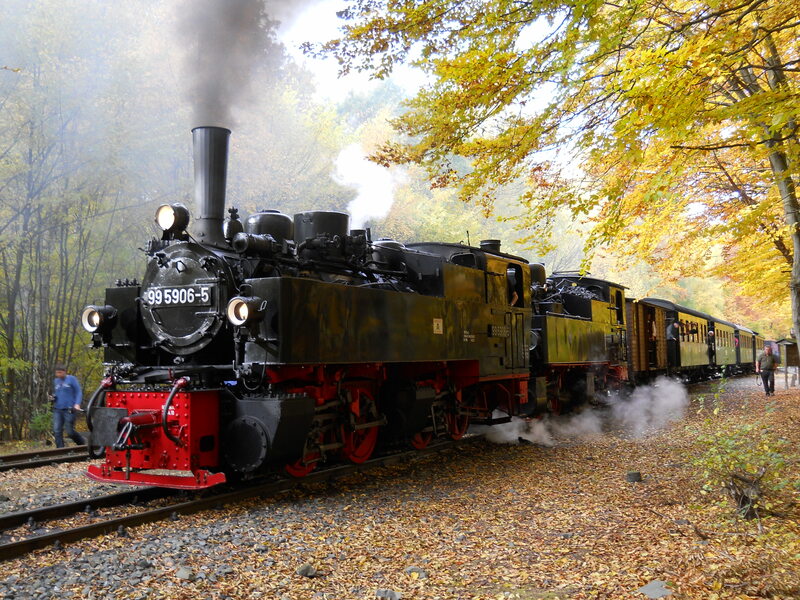 To find out more visit the Harz Autumn Gala 2013 page on our website which has the full tour itinerary details and what the price includes. If you would like further details contact me direct on 01766 772030 or email dan.may@ffestiniogtravel.co.uk.